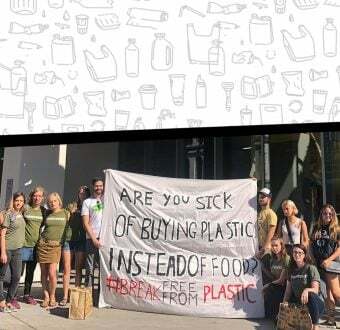 Researchers from the University of Hawaii, Manoa have discovered startling new evidence that the breakdown of plastics on land and in the ocean is producing an increase in greenhouse gas emissions. Scientist Sarah-Jeanne Royer tells us about what she found in the field and why we must pay attention to this. I am a French-Canadian postdoctoral scholar at the University of Hawaii, Manoa and part of the School of Ocean and Earth Science & Technology (SOEST). As part of our team’s research, we found that as plastic decomposes, it is producing a new source of greenhouse gas pollution not included in climate models. These emissions are expected to increase — especially as more plastic is produced and accumulated in the environment and degrades with time. Greenhouse gases have a direct impact on climate change — affecting sea level rise, global temperatures, ecosystem health on land and in the ocean, and storms, which increase flooding, drought, and erosion. While most plastic is synthesized from natural gases and the production of greenhouse gases from plastic waste might not seem surprising, the University of Hawaii is actually the first group publishing data about the link between greenhouse gases and plastic in the environment. Of particular concern is the plastic type which emits the highest amount of gases — called low-density polyethylene (LDPE). It is commonly found in single-use plastic and is also the most produced, used, and discarded in the ocean today. 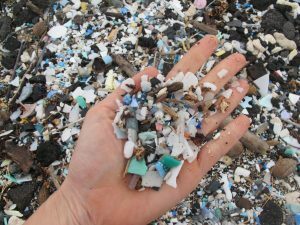 Our research shows that as the plastic breaks down in the ocean the greenhouse emissions increase dramatically — up to 488 times MORE than in pellet form. But that’s not all. Plastics exposed directly to sunlight in the air — like in terrestrial environments, beaches, coastlines, land fields, playgrounds — make an even greater contribution to greenhouse gasses due to its larger surface area. This indicates that the ocean is an important component when seeing the negative effect of plastic pollution but that simply keeping plastic waste out of the ocean isn’t enough. Our results illustrate that once this process begins, the production of hydrocarbon gases continues even in the dark. This research has far-reaching implications for waste management of plastic, and terrestrial and ocean climate change impacts. We must address this — and now. 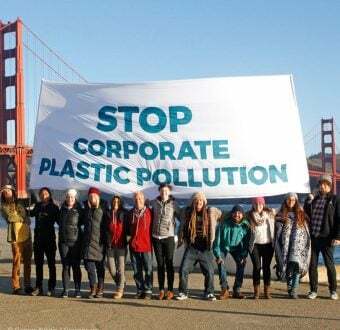 Considering the amounts of plastic washing ashore on our coastlines, along with the amount of plastic exposed to environmental conditions, our findings provide clear evidence that to protect our planet against climate change, we need to stop plastic production at the source. Want to dig in and read more about the work Sarah-Jeanne and her team produced on this topic? Check out the published report here. 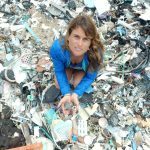 Dr. Sarah-Jeanne Royer is an oceanographer and currently doing a post-doctorate on marine debris at the International Pacific Research Center at the University of Hawaii. 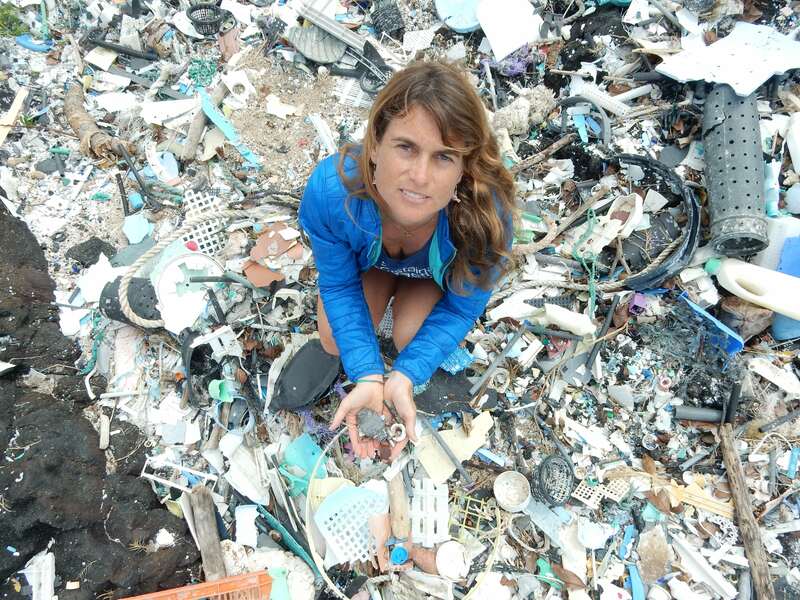 Her research is linked to the pathways and fate of marine debris and plastic pollution in the ocean.